The Cricut Knife Blade is here! 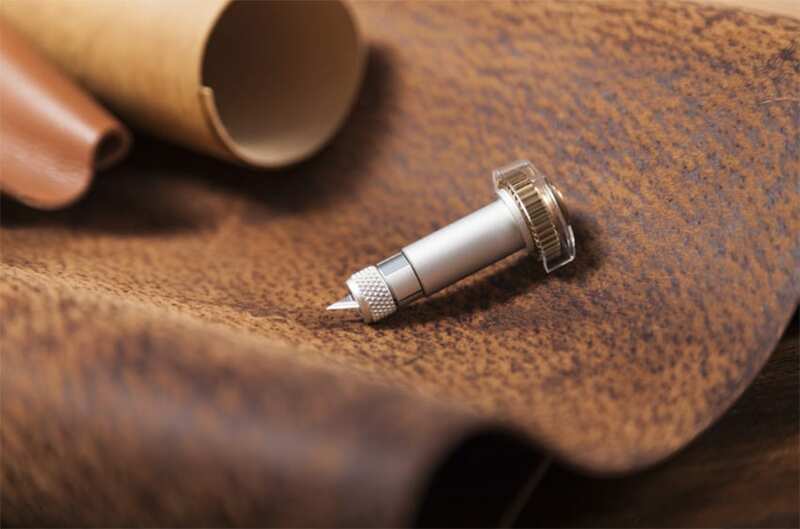 This new amazing blade is compatible with the Cricut Maker and can cut thicker materials — such as Chipboard, Leather, Balsa Wood, Bass Wood, Mat Board and more! Come learn all the basics of the Knife Blade, so that you can get creating! 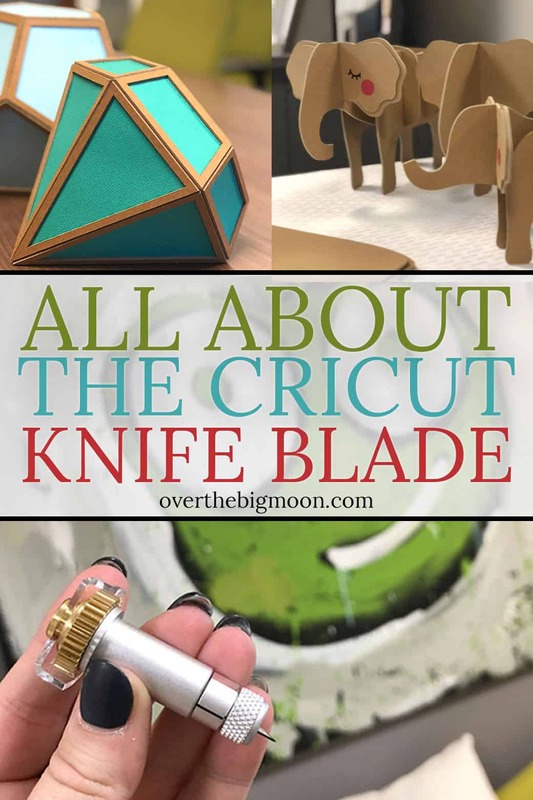 Last month I was invited to the Cricut headquarters to learn all about the Cricut Knife Blade and see its capabilities first hand! I was trained from Cricut themselves and left beyond excited to get home and get creating with this new blade that was going to take my projects to the next level and it has! If you’re a Cricut user, specifically since the release of the Cricut Maker last year, then you know that that the Knife Blade has been a long time coming! 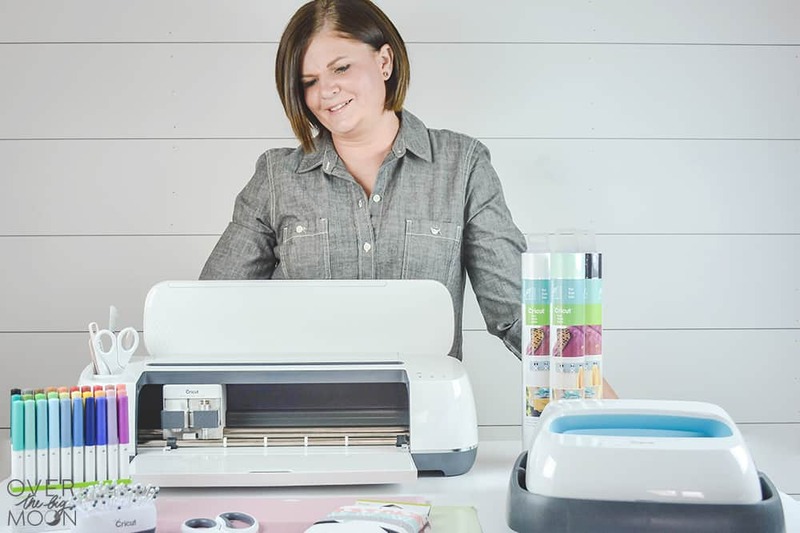 Cricut will only release their products once they are 100% what they want them to be! There were some delays, but in my opinion, worth while delays! 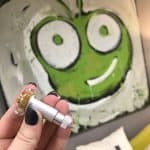 The product is incredible and the new capabilities it will provide us as consumers is outstanding! Over the next few months, I plan on sharing more in depth posts on some of these subjects, but for now I just wanted to share a basic overview of the Cricut Knife Blade! HOW MUCH DOES THE CRICUT KNIFE BLADE COST? The Cricut Knife Blade retails for $39.99 on Cricut.com or other craft stores. This includes the drive housing, knife blade and cover. Replacement Knife Blades cost $16.99 and includes a knife blade and safety changing cap. WHERE CAN I PURCHASE THE KNIFE BLADE? You can purchase the Cricut Knife Blade HERE at shop.cricut.com or anywhere Cricut products are sold! HOW DO I PREPARE MY MACHINE TO USE THE KNIFE BLADE? In order to use the knife blade, you need to move both star wheels on the roller bar all the way to the right. This gives clearance for thicker materials to pass under the roller bar. It also prevents the star wheels from leaving track marks on your materials. Also keep in mind that because the star wheels are pushed to the right, you are only able to make cuts 11″ wide. So, make sure that your materials are trimmed down to 11″ wide and not 11.5″ wide like allowed for other blades. WHAT CAN THE CRICUT KNIFE BLADE CUT? 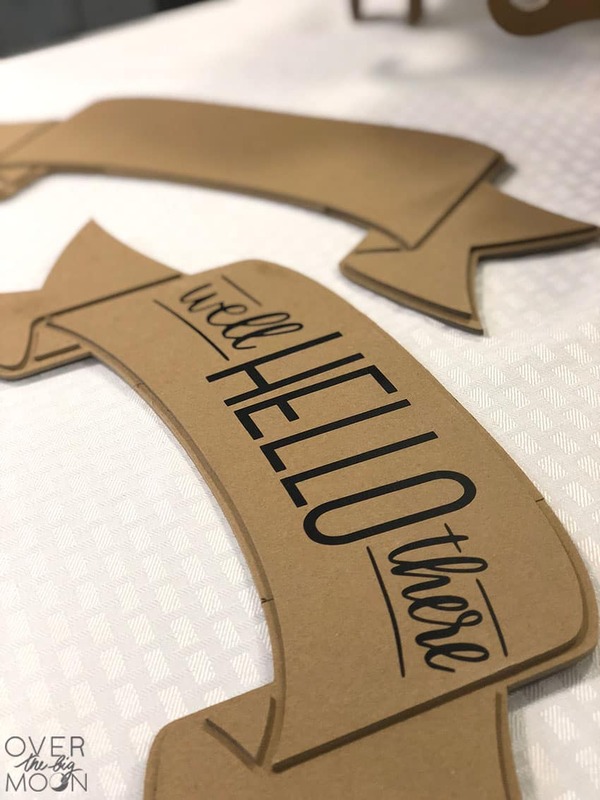 Chipboard – ONLY Cricut Chipboard. Other materials will be added to the list, but are still currently being tested! These are the materials that are on the approved list! 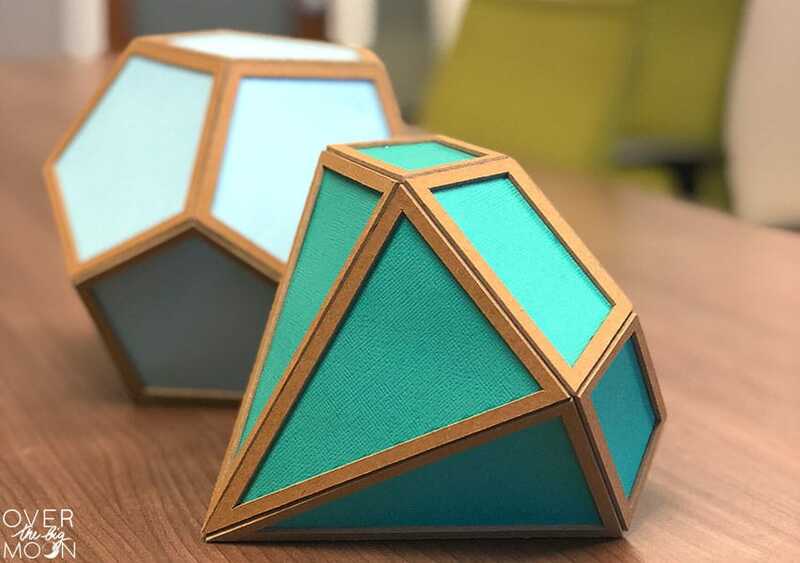 For these materials, they currently have 24 completed Design Space projects that are all ready to go! So, once you get your Knife Blade, head over there to get started! HOW THICK OF A MATERIAL CAN THE KNIFE BLADE CUT? All the materials have a different maximum thickness. Please reference the list below. Max thickness 2mm. Max cut 10.75 x 10.75 / Min cut .75″ x .75″. These instructions may vary a little based upon the material that you are cutting, but these are base instructions. Use the StrongGrip Mat for most materials. For Craft Foam, you’ll use a Standard Mat. Place the material on the mat and then roll the brayer over the entire surface. Using a brayer helps create a strong bond between the material and the mat’s adhesive surface. If the material has a bow at all, place it so the curve goes towards the mat. Tape the at least the TOP and BOTTOM edges of the material to the mat using Blue Painter’s Tape. If you feel it is needed, add tapes to the sides as well. I personally tape all 4 sides, just to be safe. Make sure all the cuts will be at least 1/4″ away from all the edges of the material. If the knife blade goes off the material it is very likely that the knife blade will break. Make sure the star wheels are moved all the way to the right as explained above in the How to Prepare My Machine To Use the Knife Blade section. Also, make sure no part of your material will go under the rubber rollers. Making a test cut is always recommended prior to cutting your project. The materials cut using a knife blade can be more expensive and I’d hate to have you spending extra money! The knife blade has a very cool feature of “adding a pass” after your cut is done. This allows you to confirm and finish a cut if the pre-programmed amount of passes isn’t quite enough. When prompted after the pre-programmed cut passes are completed, WITHOUT REMOVING THE MAT, confirm that your cuts are all complete. You can use a weeding tool, gently lift along the edge of your cuts to check the cut. If not, click the GO button to begin an additional pass. If needed, you may do this multiple times. But, keep in mind that each additional pass slightly increases the pressure. If the cut is only connected by a few fibers, it may be better to unload the mat and finish the cut with a craft knife. Note: If you unload the mat, the machine will cancel the option to add an additional pass. Immediately remove the mat from your Cricut Maker. Carefully remove any tape you’ve used to hold down your material to the mat. Review all your cuts to make sure they’ve all been completed. If there are any pieces that are not cut all the way through, then turn the material over and use a craft knife to lightly cut through the sections that aren’t completed. If the corners are still attached, push the corners out by pushing from the front to the back. HOW DO I REPLACE THE KNIFE BLADE ON MY CRICUT MAKER? It is super easy! You’ll just purchase a Replacement Knife Blade Set. That set will come with a Safety Changing Cap and directions to quickly replace the blade. Remove Knife Blade Drive Housing from the machine and place the changing cap completely over the blade and sleeve on housing. 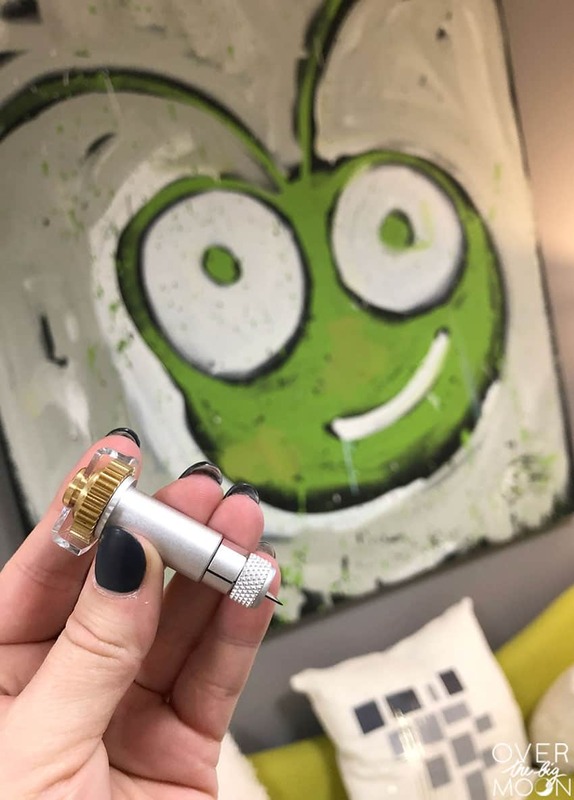 Use the changing cap, twist counterclockwise to completely unscrew the sleeve from the housing. Turn the housing over and blade will drop out. Discard the blade. Align the rib on the new blade with the matching groove in the housing. Ensure the blade drops all the way into the housing. Place the changing cap with the sleeve over the blade. Using the changing cap, twist clockwise until the sleeve is very tightly secured on the housing. Carefully remove the changing cap and place the housing back in the machine! The total time of a cut will vary depending on the size and detail of the image being cut. While cutting, remove small pieces that may pop off the mat. Things like small interior cuts or other debris. If the material moves while being cut, your mat may not be sticky enough. If the material isn’t cut completely and you’ve cut multiple projects, then your knife blade may need to be replaced. If your project stops cutting part way through your, and the GO button on the machines begins to flash, this means that the machine has encountered an error while cutting. DS will give you a message that the blade is stuck. This can happen because of an irregularity in the material or many other reasons. DO NOT UNLOAD THE MAT!!!! Was that annoying enough? Not quite? Let me repeat: DO NOT UNLOAD THE MAT!! That will make the cuts START OVER! Instead, examine the cut area and clear the machine of any dust or debris by using air spray or a small paint brush. Once the machine area has been cleared, press the flashing GO button on the machine. The machine will take a few moments to re-detect the knife blade and the cut will resume! When cutting a material with the knife blade, DS will calculate the expected remaining cut time. They base this on how long the first pass took and how many passes are pre-programmed for that material. It will also how you which pass it is currently making and how many total are programmed. If when your programmed cut time is done, DS will ask you if you feel like one more cut passes are needed. In DS, when you select a material that requires the knife blade, you will receive a notice that a longer-than-usual cut time is expected. To get started – check out all the current Knife Blade projects in Design Space HERE! If you found this post helpful, I’d love it if you pinned the image below! This is the first article I have found that tells me exactly what wood I can use and the thickness for the Maker. Thank you ! You made it easier to understand. Can i use this blade on any cricut machine? Unfortunately not. It only works on the Cricut Maker. Hello, where do you purchase balsa wood? I purchased it at Hobby Lobby! But, I believe your can order it from JoAnn Stores and Michaels too! Can I get the template you used for the 3D Diamond? 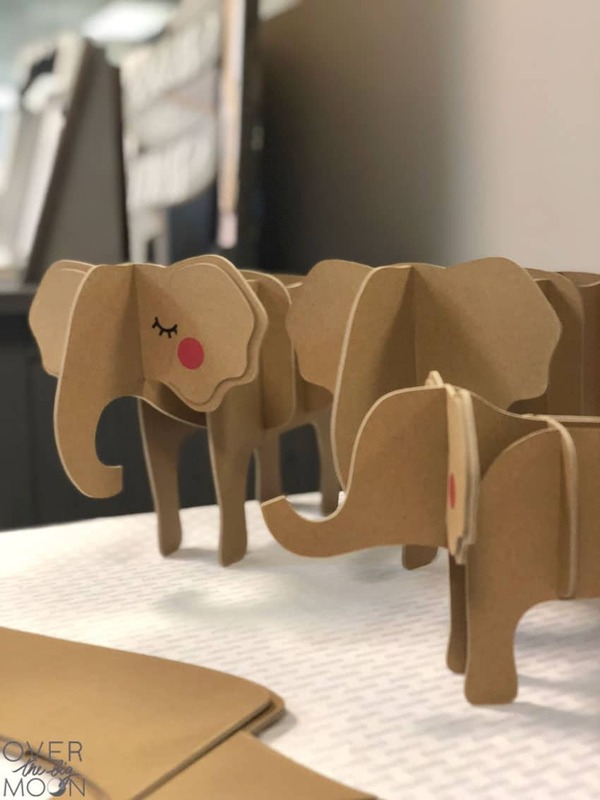 It’s actually something that was shared with me at the Cricut offices. Let me see if they have it DS and get back to you!! I second that. How can we make those diamonds? Hi Pam – Do you have a template or instructions on how to make that diamond in the above picture?